ComPac 27's are excellent coastal/bay cruisers. This one can go from coast to coast at 55mph. However it should not to be considered a day sailor! 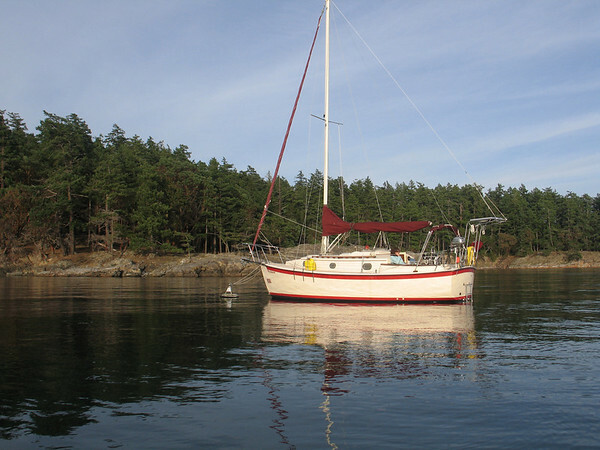 This particular boat is in very good condition and has been continually maintained and upgraded. Is your back stay attached to your davits? No, that's the old topping lift. I use a boom kicker which freed it up. It's now rigged to the davit to provide extra support when the dink is loaded.